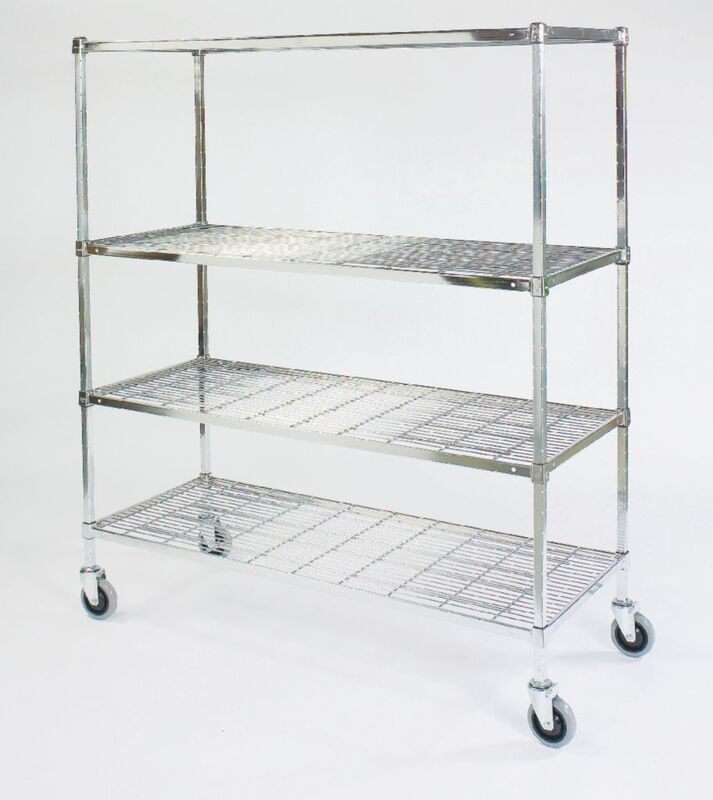 Carts with square posts provide more structural steel than carts with round posts. Robotic welds enhance durability. Bright zinc with hard-baked enamel finish provides improved corrosion resistance. Each shelf is adjustable in 5.1 cm (2") increments and features truss-reinforced edges for exceptional durability. 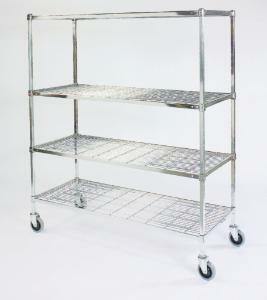 Carts can support up to 544kg (1200lbs.) when weight is evenly distributed.